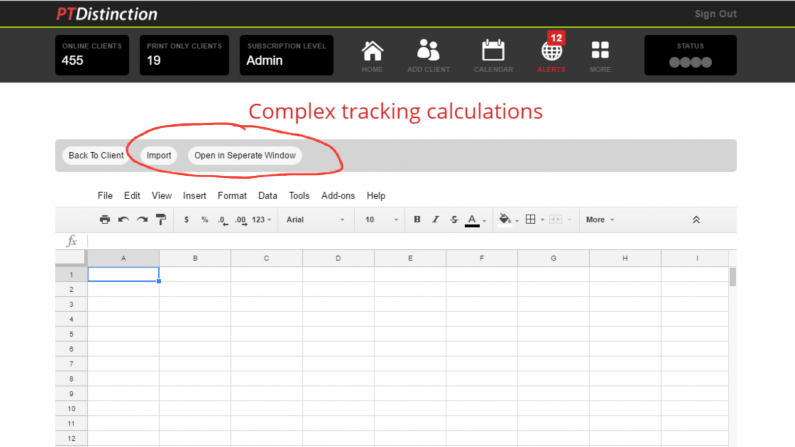 We have added "Import" and "Open in Separate Window" buttons to the Google sheets integration. This means you can now import any sheets that you've previously made. You can also create your sheets directly in Google Sheets and import them easily to your online personal training clients accounts. Anyway, if you use Google Sheets you really need to check out it's new found power and time efficiency when combined with PT Distinctions Groups set up. As always PT Distinction is taking things up a level for all great online personal trainers.